Arriving from the U.K. is the latest release from the underground folk/rock band The Bordellos. Their latest release titled "How To Lose Friends And Influence No-One" continues The Bordellos duty of singing the truth. The new thirteen-song release begins with the indie-folk protest of "I Don't Believe In MFs Anymore." They bring down the mood with the dark tones of "Unhappy Song," before finally plugging-in for the controversial, garage-rock of "Gary Glitter." They attack the BBC with "Did The Bastards At The BBC Kill John Peel?," then blast away your frown with the grunge-like buzz of "Fanzine Smile." Their new album wraps up with the moody acoustics of "Stone Turns To Stone" as The Bordellos take you on a word-filled journey, before finishing with the expressive sonic landscape of "Piss On Spotify." To find out more about The Bordellos and their latest release "How To Lose Friends And Influence No-One," please visit their Facebook page at facebook.com/TheBordellos. 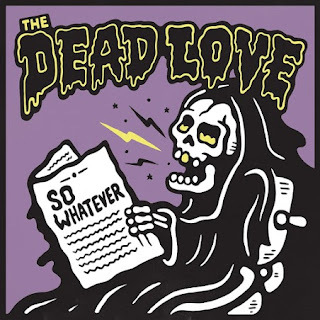 Next from Sydney comes the latest release from Australian grunge legends The Dead Love titled "So Whatever." Their new sophomore release begins with the highly energetic rage of "Frown" as their music heads more toward mainstream alternative rock on this latest album. They ignite their sound with the grunge feel of "Down" and the Nirvana-inspired single "Wasteland." They keep the energy going with the upbeat, alternative rock of "Love Drugs," while "99" showcases the band's harder, edgier sound. The album finishes with the guitar driven tempo of "So Whatever" and the final blast of energy from the wonderful rawness of "The End." The Dead Love have a few dates left on their current tour of Canada. To find out more about their new album "So Whatever," please visit thedeadlove.com. Canadian rock band SIANspheric return with their first new album in fifteen years. The new LP titled "Writing The Future In Letters Of Fire" features ten tracks, beginning with the atmospheric build up of the title-song as the vocals float around the song's smooth rock melody. They slow the tempo down even more for the dark, moody delivery of "I Draw The Line," then add a progressive rock twang to their sound with the eight-minute sonic adventure "I Have It." Their sound explodes with the quick, evasive blast of horns on "Los Herejes," before finishing the album with spiritual feel of "The Simple Exit" and the Pink Floydian tones of "Ender (or the Ethereal Melodies Of Lazerpipe Arkestra)." 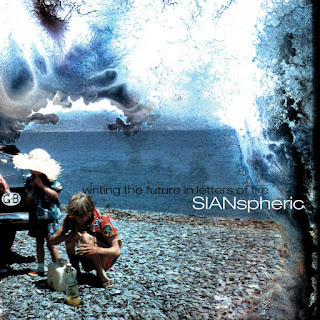 To find out more about SIANspheric and their latest release "Writing The Future In Letters Of Fire," please visit sianspheric.com.